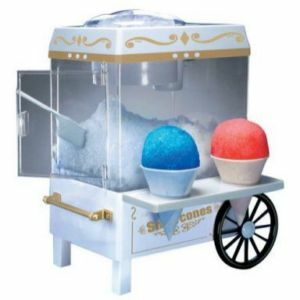 There's nothing cooler then making your own snow cones with this easy to use snow cone maker! Shaves ice cubes into snow! Convenient side tray holds snow cones. Built-in safety On/Off switch. child safe.